Happy Friday! 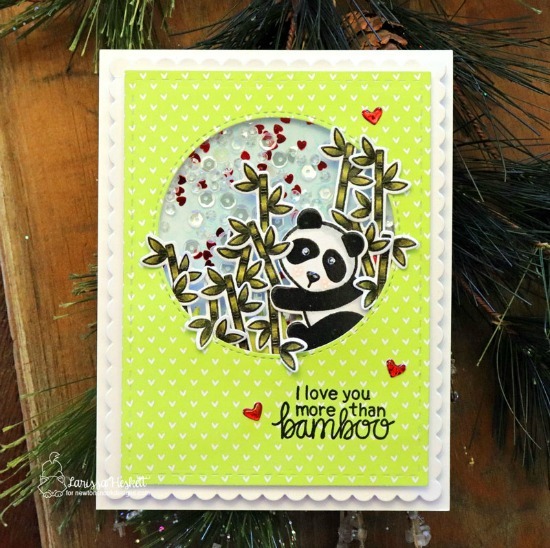 Today we are sharing a super fun panda and bamboo card by Larissa! 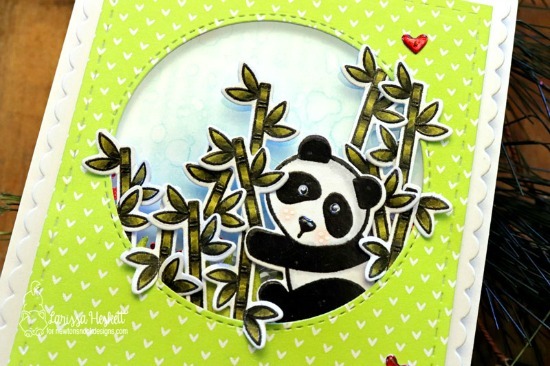 She created this adorable shaker card featuring the panda from our Playful Pandas Stamp Set, stamping the panda LOTS of bamboo! 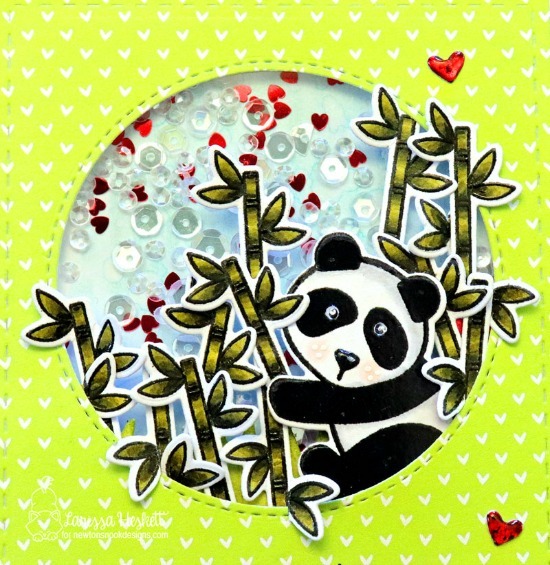 She colored the bamboo in shades of green and then she cut out the panda and all those little bamboo shoots using the coordinating Playful Pandas Die Set. She clustered all of the pieces inside a circle and added the shaker with sequins behind them! How adorable! For her card base, she cut out the scallop edged panel using our Frames & Flags Die Set. To finish off the card she used the "I love you more than bamboo" Sentiment from the Playful Pandas Stamp Set and added that to the front panel along with some sweet little hearts! What a great card to send to someone you care about! One could undoubtedly see how critical curtains are for house development.